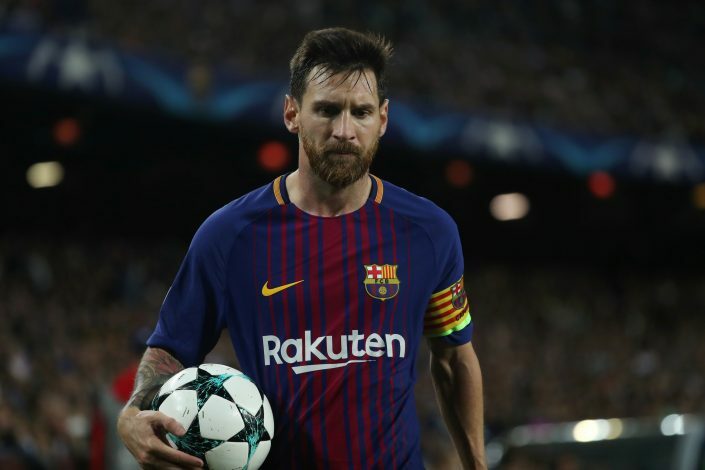 Lionel Messi’s sublime form continued on Tuesday, as Barcelona routed Juventus 3-0 in their UEFA Champions League opener at Nou Camp. In the match that was billed as the contest between Europe’s best teams, one team was dominant throughout the match, while the other had early chances and looked threatening in the initial proceedings of the first half, but couldn’t capitalise on that momentum going forward. Despite Barca enjoying plenty of possessions, they struggled to break down the well-organised Juve defence in the central areas. The back line of both the teams was exceptional initially, before Messi broke the deadlock with a beautiful finish to give the Blaugrana the lead on the stroke of half-time. After Pablo Dybala blazed a good chance over the crossbar early in the second-half, Juventus never looked threatening, as Messi started to influence the game more and more. In the 56th minute, the five-time Ballon d’Or winner helped Barca make it 2-0, as his low cross was cleared by substitute Stefano Sturaro back to Rakitic, who fired it home. Juventus defence looked ragged in the absence of Giorgio Chiellini, as Messi once again shredded them into pieces. When he got the ball on the right side in the 66th minute, he cut back to go around two defenders, before hitting a stunning left-footed strike into the lower corner of the net to give Barca a resounding lead of 3-0. Juventus eliminated Barcelona from last year quarter-finals, but the Catalan giants have now exacted their revenge with a dominant win against the Italian side.